A match made in hell… what kind of reader you are? VANILLA LATTE – the deck of choice usually features Unicorns, Mermaids or other equally realistic figures; the readings match the deck – fairy tales from an overactive imagination and very little actual reading skills; good for bedtime story telling – zero practical use. AFFOGATO STYLE (PSEUDO QABALIST ) – deck of choice is usually Thoth, intro to the reading sounds like cursing in a dead language…Yesod of Aziluth, Daath of Beriah… Then they start climbing up your nerves instead the actual Tree of Life with more and more foggy correlations which mean very little to them personally and even less so to you as a sitter. Oh, please. 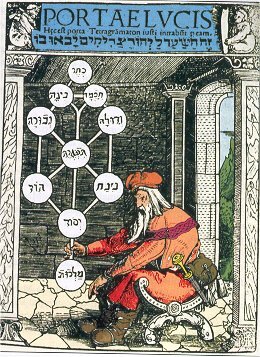 Actual understanding of Kabbalah or any of its varieties is usually close to non-existant and the use of such readings as well. CHAI TEA LATTE can’t actually read – they might go by ‘psychic Tarot reader’, ‘intuitive Tarot reader’ etc. 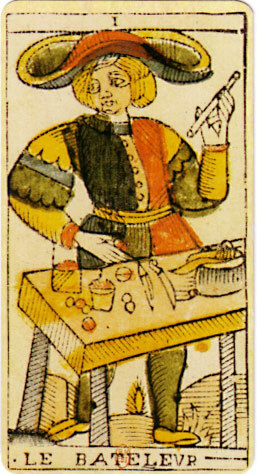 without knowing Tarot as a system, they’ll read Tarot or whatever handy – as an oracle; unless you seriously suspect them to be a hidden Zen Master, that can be quite dangerous if they are in bad mood, tell you BS and activate your self-fulfilling-prophecies mechanism ; so, unless you are an experienced sitter with years of readings under your belt, unless you can tell the real psychic from a fraud at first glance/card – keep your distance. ICED TEA / the “harsh truth ” reader – be aware of the bully in disguise; they come in all shapes, are usually very assertive and make you feel week and vulnerable… they use scare tactics, are probably cold-reading you and aim to either dis-empower you as a psychopath would (just for the sake of it) or to con you for money … or both. Send them where they belong – back to Hell. BLENDED FRUIT BEVERAGE/ THE PC READER – they sound like an Extraordinary and Plenipotentiary Ambassador, weighting every word and reading decks that include all the ethnic minorities as well as at least one representative of LGBT population per Suit and all the religious denomination you can think of. They won’t predict, won’t read for pets, won’t read on anything that actually interests you. If you are honing your skills as an UN negotiator – that’s a reader for you; if you need a Tarot reading – look further. ESPRESSO – my favorite; brief, straight to the core, with a touch of actual predicting that usually turns out to be accurate; no digressions, no pseudo-Jungian talk, no endless &futile descriptions of the artwork , no technical BS like Saturn in Pisces and Venus here and there and the Moon in the neighborhood. That’s my kind of reader, albeit, in words of Dan Pelletier , your mileage my vary. So, you say ‘its not ok to be gay’? We do know love when we see it – and all of us have seen it, with our own eyes… and with our own hearts. I saw it when i entered my best friend’s bedroom without knocking (i know, what was i thinking?) while he was making love to his then husband. What i saw was two people making love – not two men – but two people enjoying their intimacy and each other. When i talk about love, i am not talking about deviant illusions that Hollywood movie industry is pushing on us – you don’t have to be WASP, you don’t have to be straight, you don’t have to look like a model to love and be loved. The only thing you do need is to be human and be free – free from fear, free from bigotry. I was told by some people (among them a Lama from Yellow sect of Tibetan Buddhism whom i met in Mongolia) that i have a strong past life as a Buddhist monk. The (dis) belief in reincarnation is all another topic, but if it very might be its from there that i learned to accept reality as it is . You see, i have a problem with term tolerance as it presumes you are actually bothered by something, yet need to learn to live with it; acceptance is all another story. One more thing i believe to be crucial – i’ve been going on and on about the advantages of being born into the family of isecular humanists – the main advantage of being born into irreligious family is the chance to NOT get brainwashed into judging people by their ethnicity, believes they adhere to and , needless to say, by whom they love and choose to commit to. 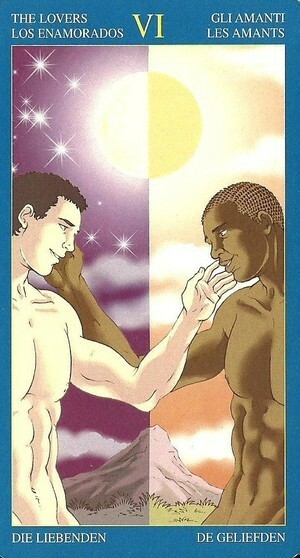 Because the Lovers , the sixth Major Arcanum of the Tarot – is equally about love – and about making choices. On a more esoteric level, its believed we do choose the families we are born into – and thanks goodness i’ve choose parents who thought me not to discriminate , but also not to let anyone oppress me due to my own ethnic background, gender or whatsoever. In full honesty – i don’t remember my parents ever giving me lectures on the topic or anything; simply they had friends from all possible backgrounds and from all walks of life and that’s the atmosphere in which i grew. Sexuality wasn’t really discussed in our family – and it might sound odd – but i didn’t ask questions like how are the babies born; i had my own, very different concerns. So, truth to be told – i don’t know what does it mean to tolerate other people; people are like the weather and the nature itself – different. Can you protest that its snowing or there is a strong wind? Of course you can, but that’s quite futile of an enterprise if you ask me. Accept it. Its the way it is, like it or not. On a second thought, what is it that bothers you exactly? You are afraid there won’t be enough babies in this world? Don’t kid me, this planet is overcrowded as it is. What else? You parents told you so? They probably also told you that there is Santa Clause , that its the storks that bring the babies and whatnot. Your religious text of choice says so? Well, there i am of no help to you, you are on your own. Do keep in mind though that whatever book of a kind you’ve been reading – chances are that its outdated and that God has changed her opinion by now. No pride parades where i am, no men holding hands in public… I had to remind to my friend’s hubby who is not from here originally – that he must keep his distance in public places, otherwise chances are we’ll all get beaten. There is another side to this story – and its coming from women, married to gay men. Two of my acquaintances were, and their stories are equally heartbreaking as their husbands’. Again, albeit i speak your language somewhat fluently, i live in the reality which is very different from yours – given that you are coming from the so-called free world. Its very patriarchal where i am and, by many, its considered to be the most conservative country in Europe. Woman are traditionally expected to marry as virgo intacta, and, even if they aren’t – their sexual experience is quite limited and their being thought not to speak up is prevalent. Don’t get me wrong here – i do love my country and my people and i am more then proud of our history; that doesn’t mean that i have to accept the tradition i’ve inherited without questioning and changing it. You see, i want my friend back. I want everyone coming back from wherever they sought refuge. I want everyone living here without fear. I want the anti-discrimination laws, that our government adopted since we choose the path of euro-atlantic integration , to be implemented and not a “dead letter” on a paper. I want a gay couple that got beaten recently in the capital by police officers – and left without the clothes in the night at a park (read more here: http://www.balkantravellers.com/en/read/article/1604 ) not to fear suing the villains; i want these uniform wearing bullies to be prosecuted. That’s what i demand, as a tax paying citizen of this country who voted the very coalition in power. Not that i, as a heterosexual woman, don’t have my own pet peeve in the field – its that if a guy is good looking, smart and cultured – he probably already has a boyfriend… but its just the way it is. 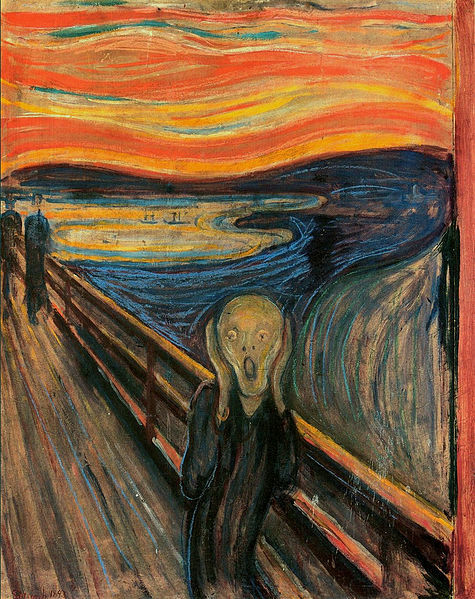 At point or another, all “new religious movements” or whatever fancy word of a day for a sect is – become even worse for the follower than most organized religions. In words of Shaul Youdkevitch, a kabbalist of prominence, the difference between a cult and a religion is merely… hundred years. In my experience, much less than that. I’ve been around the NRM block couple of times by now and i got a lot and i lost a lot on the go. I got acquainted with the ideas that are not available – or at least weren’t available at the time – in mass media and popular books; i made friends – kind of friends that i can only compare to what i’ve read of people fighting wars together, so far so good – but what i (almost) lost there almost outweighs the gains… I almost lost any kind of faith i ever had and at certain points i felt i was downright loosing my soul and turning into some kind of insensitive monster who parrots the learned by heart jargon of the movement. Now, i must digress. I’ve seen many people who are perfectly happy in various cults (as well as many people who suffered and many who simply fell apart) and it seems that to find happiness in such environment one needs to be in possession of qualities that will basically enable him to find happiness pretty much anywhere: the golden rule is not to dig too dip, so to find inconsistencies in teachings as well as the agendas of the people who are pushing them. Keeping a distance, taking only what you need, turning a blind eye to the rest. Of course, there are many pro’s to that approach and i guess no one is that stupid to expect perfectionism and infallibility from the fragile human nature… But what i absolutely insist on is the virtue of honesty – being honest in one’s search, being honest about one’s motivation, being honest about one’s goals and , in the first place, being honest about one’s mistakes. Sadly, there is a severe shortage of honesty. Think of Socrates. His life and philosophy are continuous source of inspiration since the dawn of humanity for two reasons: firstly, unlike Thomas Aquinas and other scholastic philosophers – he didn’t presume he knew better and wasn’t set to patronizingly persuade you into certain pre-existing truths , he was on the adventure of finding the truth with you, whichever that truth might be and whether it existed in the first place; secondly – he lived his own truth and he died for it. No contemporary martyrs that i know of – most of the our-days- Gurus are (too) well fed, flying around in private jets and basically are not significantly different from (any other) Hollywood Celebrity. Don’t get me wrong – i don’t believe in suffering , not at all. But some fake and spoiled brat parroting the new-age lines is not exactly an answer to my prayers either. Now, the logical question would be – wtf i was looking for in all those sects and cults, right? A companionship. Kindred souls. The quest gets overbearingly lonely at times… at the end of things, for myself i concluded i am better of alone on my own, then confused and alone in a group. Nines are related to the Nineth Major Arcanum of Tarot – the Hermit – symbolizing an endless variety of concepts, but commonly being related to the quality of Solitude. It seems that most of the folks who really contributed to our kind have spent prolonged times on their own. There is something in the crowd that prevents us from hearing our own thoughts, something that prevents us from being true to our own selves… the herd mentality or whatever its called. Observe any kind of group – very soon you’ll spot the leaders – and chances are they won’t be the most moral ones and the ones who are the most concerned with common good; more so – the bigger the group, the bigger the takes are – chances are that the brave leader has many of the psychopathic traits. The leaders – political, religious, CEO’s – know your soft spots, they know your fears; they also know how to cheer you up and how to appeal to your most profound emotions… its not that difficult after all, most of the five years old can do that too… the thing is that we learn with time that its not nice to manipulate others and most of us refrain from it most of the times… not your and my leaders. They mostly use those energies to get a free ride into a careless and abundant existence and that’s about it. Now, there are different kind of leaders – we’ve heard of them, we’ve learned of them … i presume your own experience thought you that, if not – you’ll have to trust me on this one (albeit i hope it never comes to that) – they are the exceptions. We are on our own, as much as we fear it. Its up to each and everyone of us , according to our believes or the lack of them, to come up with our own system – or to remain in slavery for ever. Think for yourself, its not illegal yet. Hardly you’ll find two Tarotists under the Sun who’ll agree on what that deck of cards exactly is and how does it work… except that all agree that it does work and that indeed its a process. as its Fear that’s opposite to Love, not Hate – as some might hastily conclude. For that very reason i am profoundly grateful i was born to a secular family of intellectuals – as much as i am certain there is that loving force that moves the universe and as much as i perceive Him in the framework of tradional Judaic tenets – was my brain limited by dogma from the childhood, none of this would be possible. Is there one answer and one truth for all of us? I doubt it. Its said that 600.000 people stood with Moses on Mt. Sinai when Torah was given – and each and everyone understood it differently. Can anyone else give you fixed recipes on how to live your life and which choices to make – be it a priest, rabbi, a guru… i doubt it. We wouldn’t be given analytical minds in that case, i believe. 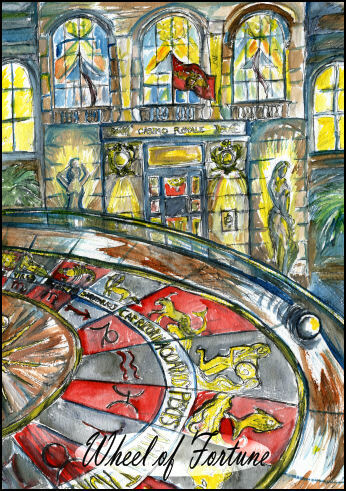 Right, some great mind’s conclusions do make sense to the rest of us – but i am convinced that each and everyone of us has to do their own bit of thinking and doubting it all – for themselves… and Tarot is an irreplaceable tool for that purpose. What prompted me to write down these thoughts – nothing new you’ll rightly notice – is the experience i’ve been living for the last month at my Muscovite university and some synchronistic events that lead to mine giving an informal intro to Tarot to various people here at campus (mostly MA students of humanities). As a digression – i must add that i never thought Tarot formally (neither have i taken formal courses and classes); my own experience in teaching consist of (formal, institutionalized) teaching of foreign languages, Russian literature and diplomatic protocol – and last but not the least – by formal education, i am PhD candidate in the very field of Methodics, as abstract as it is. But, the circumstances were such that i did introduce many people to Tarot, and i’ve been honored to meet the most enquiring, unconventional and unusual minds – among them some publicly recognized great minds, even one member of the Academy of Science; couple of genius poets; couple of internationally influential politicians; some of world known crooks; some spiritual/religious figures with numerous followers and , in whom i take pride the most, numerous so called common people whose personal influence usually does not exceed their own families and close circles of friends, strangers to media and politics of all kinds. 21. now go and learn… and be so kind, pass it on. Right… You say too much of a good thing? Well, not really. A disclaimer: i have absolutely no formal training in magic(k) nor do i believe in such. Magick is one of the very few words that haven’t been worn out from excessive use and that still have some inherent power to it – as a word, as a vibration, as a verbal impulse and that to me, as a linguist, is the best bet. What’s magick? As Aleister Crowley puts it – its “the Science and Art of causing Change to occur in conformity with Will”. Now, who opposes it the most? The Church. An institutionalized religion, branched out from another, earlier religion that is actually based on causing the very change to occur in conformity with the will… Red Sea parting anyone? Its because he himself had all it takes to part the Sea. I won’t even go to Christian Bible/ New Testament and all the miracles described there, turning water into wine and so on. And that’s the guys telling you magick is evil? Whom are they kidding? The problem here is that if you start doing it yourself – then you are bypassing the mediator – and then the clergy would have to look for real jobs… Oy gevalt! Don’t even get me started on astrology… 12 Tribes of Israel? Well even a wanna-be kabbalist who ventured at the time into London’t Kabbalah Center – if for nothing else – then to peek at then Mrs Richie… even s/he knows the 12 tribes denote the 12 zodiac signs. Christian Bible? How was it exactly that Jesus was found by the three wise men? Aghh, they were following a Star… they have read his natal chart… and your priest tells you it all is a matter of the Devil?! I’ll save my opinion on the devil for another entry – but let me tell you… he doesn’t exist. What does exist is a lot of stupidity combined with plenty of superstitions and an inherently human trait to blame things on someone else… be it a fairytale horned semi-human… Yeah. I am a sucker for ceremony and protocol and all. Be it my will – i’d have a special embroidered robe and a fancy stuff and probably a bronze cauldron and what not… Yet i have no way of getting those where i am, given that my plans at the given moment do not include robbing a bank and/or depriving my dearest&nearest of basic means for living so i could get all the fancy gadgets… i doubt all those powerful magicians and alchemists from the past had stylized robes and designer magickal jewels… it might help, it might give you an additional impulse – but it all is not necessary. So i choose to get by with what i have. Some call it Chaos Magick and here is what trusted wikipedia has to say about it: Chaos magic is a school of the modern magical tradition which emphasizes the pragmatic use of belief systems and the creation of new and unorthodox methods. So, here i am, in my magical outfit – Indigo jeans 2011 winter collection, a preppy sweater and woolen socks from Marks and Spencer. My magickal footwear consists of comfortable &worn out slippers, bought at the local flee market. My devoted apprentice and my only follower is napping on the tv receiver while purring in her sleep. All i need to know there. Seems most rituals use candles, floating ones being the preferred kind, yet i don’t have them handy, so i’ll stick with the ordinary ones from the supermarket. some oils, one of them perfumed – with very strong bouquet, that i bought in Cairo, near the pyramids in Giza – have kept for almost a decade, felt sorry to throw to garbage, yet didn’t know what to make of it exactly. …as its all in our heads – its just that we are not aware how big they are!